"What Steve is saying with all his inventions is that artists have won — not the nerds." 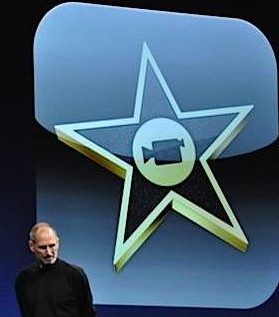 Google Chairman, Eric Schmidt, the former friend and Apple board member, said on the day of Steve Jobs's passing. He wanted to make sure that the photography and film making features on Apple devices were exquisite — and that it'd surpass the expected quality and capability of any other devices with the word phone within it. Hence, Apple tagged the new iPhone 4s camera as: "The you-can't-believe-it's-a-phone camera." Indeed, the iPhone 4s camera now has 8 megapixels, an all new advanced optics with the larger f/2.4 aperture, which the custom lens uses five precision elements to capture more incoming light — creating a much sharper image. It also has an advanced hybrid infrared filters, which keeps out any corrupt IR light and indulges more accurate and uniform colors. But don't take our word for it: Check out this iPhone 4s short film Framed by Mael Sevestre (featured above). The quality is just stupefyingly stunning, that we-simply-can't-believe-it's-a-phone camera." Browse Steve Jobs and Apple products and accessories.